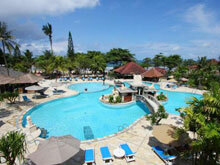 Bali The famous surf brand "Rip Curl" offers Surfing Guide! This program is for intermediate and upper surfers who want to experience more exciting surfing in Bali. Surf Guide brings you to the best wave on the day in Sanur and Canggu! Rip Curl's Surfing Guide is for who want more exciting experience than surf school, for upper intermediate level surfers. Surf guide brings you to the ocean in Sanur and Canggu, etc. Let's surfing in Bali! Include transportation service from hotel to surf point! Well known guide always supports you! On your request, a guide brings you to good lunch spot! 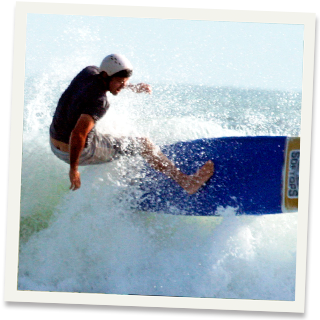 Enjo surfing with surf guide in Canggu and Sanur!! For Rip Curl's Surfing Guide, you can enjoy surfing in Sanur and Canggu with a guide. This is suitable course for experienced intermediate surfers. Schedule is changed depend on your level. Lunch is not included. Please pay by yourself . If you use a boat to go to surf point, pay by cash on the place . Max. 3 guests in 1 group. 1 guide for 1 group. Surf guide is English speaking guide. * The point is changed depend on your level and the tide condition on the day. * We cannot go to other points except points above. You can bring your own surf board. We cannot offer transport to other place rather than your hotel. If you go back by yourself, it is up to you.